Accidents between large commercial vehicles, such as 18-wheelers, and smaller passenger vehicles often result in serious injury or death to the occupants of the smaller vehicle. In addition to the destruction of your vehicle, you may be left with costly medical bills, lost wages and an injury that is permanent and disabling. If you have been injured or lost a loved one in an accident involving a commercial vehicle or truck, then call the Birmingham, Alabama truck accident lawyers at Hollis, Wright, Clay & Vail, P.C. for a free initial consultation. Our attorneys are prepared and ready to speak with you about your legal rights and what you need to do next to receive the compensation that you or a family member deserves. Call toll free at 844-529-8255 or contact us online to begin the process. 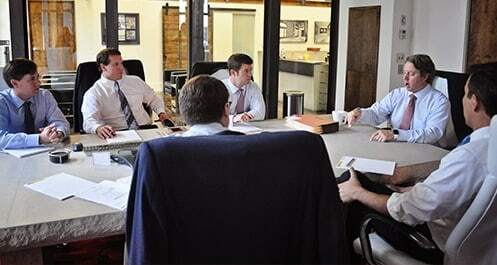 The lawyers at Hollis, Wright, Clay & Vail, P.C. bring more than 100 years of combined experience in representing injured victims of truck accidents. It can be incredibly intimidating and frightening to be near an 18-wheeler or another type of commercial truck while riding on the streets, highways and interstates in the State of Alabama. Birmingham has many highways and streets running through the City such as I65, I459, I59, I20, Highway 280 and Highway 31. These roadways are often traveled by semi-trucks and other commercial trucks and vehicles traveling to Atlanta, Tuscaloosa, Nashville and Montgomery. Many of these truck drivers are in Birmingham to deliver or pick-up products and goods. Unfortunately, accidents involving these vehicles, also known as “big rigs,” happen daily in our community and surrounding areas. Determining liability is always the first and likely most important step in pursuing an injury claim against a truck driver or a truck driver’s company. A knowledgeable truck accident lawyer from Hollis, Wright, Clay & Vail, P.C. can assist you and represent you throughout the entire claims and litigation process. Our attorneys know exactly what to do when it comes to gathering evidence, speaking with witnesses, talking with police officers and hiring experts to inspect the scene of the incident and examine the vehicles. These are all necessary and critical parts of building a strong case. You can rest assured that the trucking company attorneys and their insurance companies are hard at work right after the accident to gather evidence to deflect blame off of them and likely on to you. You need a lawyer that is ready and willing to immediately go to work on your case and aggressively fight for your rights. For instance, commercial truck drivers are required to keep a driver’s log detailing each and every trip and mile they travel. However, they are only required to keep this information six months under federal law, unless there is a request to preserve and maintain the logs for a longer period of time. Our attorneys routinely make such a request in these cases. Secondly, trucking companies will routinely have their trucks repaired and back on the road following an accident. If repairs are made, then critical evidence will be lost. 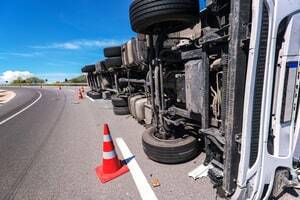 It is imperative that an attorney send a letter to preserve the truck in its post- accident condition until such time as your attorney or an investigator working for you has been able to inspect and photograph the unit. If the accident was caused by an 18-wheeler that was poorly maintained and the brakes were not working properly, then it is essential that the trucks brakes not get repaired until an inspection is conducted by qualified personnel. Because of the large size of these trucks and the fact they are involved in interstate commerce, the federal government enacted rules and regulations many years ago regarding the operation of these units. The Federal Motor Carrier Safety Administration (FMCSA) oversees the commercial truck driving industry. If you are operating a commercial truck or anticipate operating one, then you should determine whether you are required to possess a commercial driver license (CDL). These are specialized licenses that require additional training, knowledge and testing. At Hollis, Wright, Clay & Vail, P.C., we have been advocating for the rights of victims of truck accidents for years. We attribute part of our success to our willingness to stay familiar with these ever-changing regulations and to determine whether these regulations were violated by the truck driver that caused the accident. Call today for your free initial consultation with a Birmingham, Alabama commercial vehicle accident lawyer at Hollis, Wright, Clay & Vail, P.C.